Classroom Freebies Too: Schedule Set Up Freebie! I was thinking about teachers and how they may not know about setting up a schedule, so I will walk you through how I have always done mine! Stop by and see! My way is not necessarily the “right” way, but it is my way which has always worked for me. 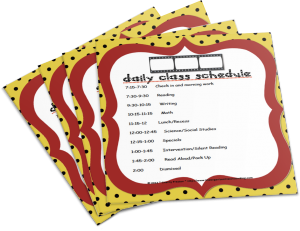 Want a free copy of the Daily Class Schedule?